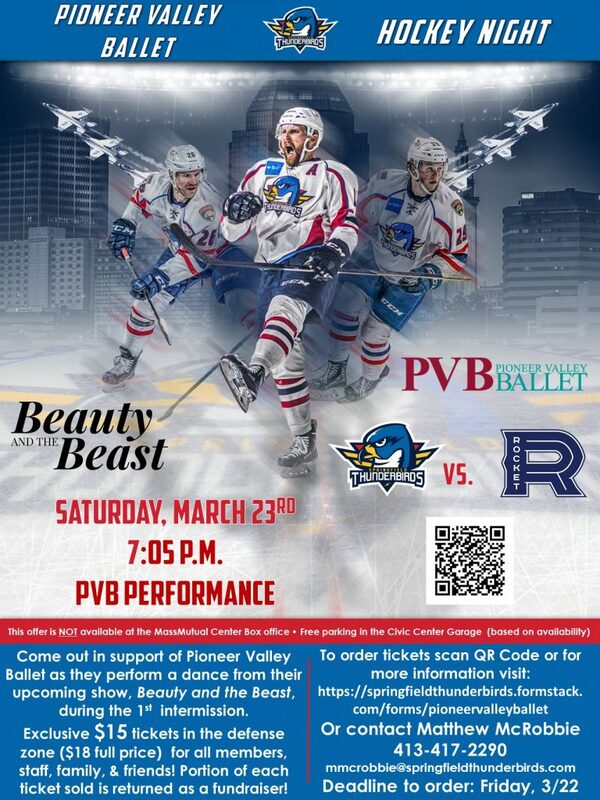 Come out in support of Pioneer Valley Ballet as we perform a dance from our upcoming production of Beauty and the Beast during the Springfield Thunderbirds’ first intermission. Exclusive $15 tickets in the defense zone for all members (students, alumni, etc. ), staff, family, and friends. 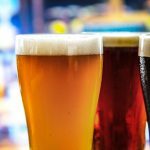 A portion of each ticket sold is returned to PVB as a fundraiser. Order tickets via the link provided or by contacting Matthew McRobbie at 413-417-2290 or mmcrobbie@springfieldthunderbirds.com. Please order by March 22.